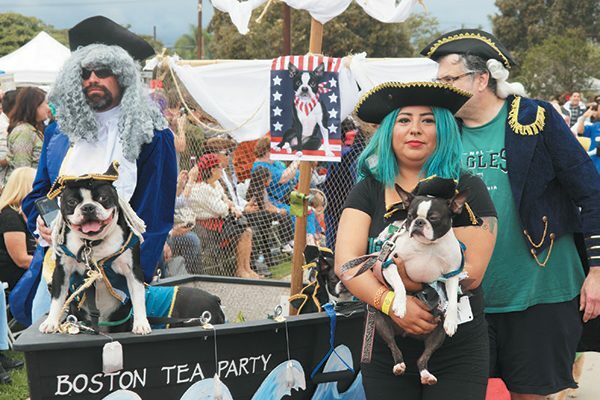 The post 8 Halloween Pet Parades You Can’t Miss by Elizabeth Anderson Lopez appeared first on Dogster. Copying over entire articles infringes on copyright laws. You may not be aware of it, but all of these articles were assigned, contracted and paid for, so they aren’t considered public domain. However, we appreciate that you like the article and would love it if you continued sharing just the first paragraph of an article, then linking out to the rest of the piece on Dogster.com. Looking for some fall fun? From coast to coast, there are Halloween pet parades that have dogs putting the wow! in bow wow. Here’s a peek at these annual events from around the country. Ahoy, doggies! These Boston Terriers took the 2016 Best in Show at the 16th annual Haute Dog Howl’oween Parade in Long Beach, California. This is the 18th year that the Haute Dog Howl’oween Parade has been marching on. More than a parade, this event includes pet adoption and vendor fairs. Judges rate costumes on originality, showmanship, costume details and first impression — and there’s lots to judge. For example, the 2016 parade had more than 550 dogs entered! Humans of all ages are welcome to dress up and join the parade. Event details: Sunday, Oct. 28 at 2:30 p.m. The start/finish is at Marina Vista Park, 5355 E. Eliot St., Long Beach, CA 90803. Registration begins at 12:30. $5 for front-row seating (fees are donated to a pet organization). Vendor fair and pet adoption fair is in the park from 12:30 to 4:30 p.m. Visit hautedogs.org/howloween.html. Bella, a Shi Tzu- Pomeranian mix, rolled away with the prize for Best Senior at the Spooky Pooch Parade, with a horticulture theme perfect for the venue! 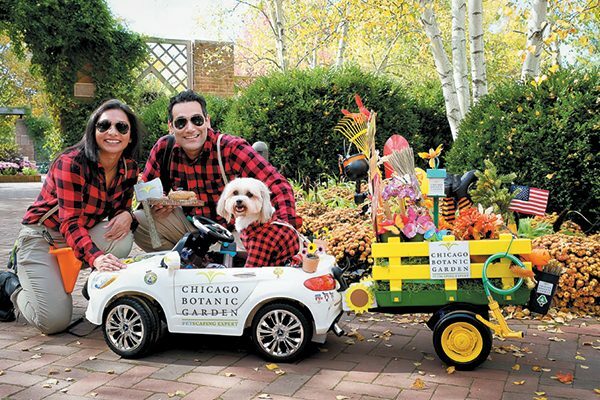 Dogs are allowed in the Chicago Botanic Garden for just two hours a year — for the Spooky Pooch Parade. Nonprofits and vendors are on hand, er, paw, to sell dog-related products and share info. Costume categories include best dog/owner costume, best puppy, best senior and, in keeping with the venue, best horticultural interpretation. This marks the fifth year cleverly costumed canines strut their stuff to celebrate Halloween. And maybe stopping to smell the roses! Event details: Saturday, Oct. 20, 11 a.m. to 1 p.m. 1000 Lake Cook Road, Glencoe, IL 60022. Registration begins at 11 a.m. Parade starts in the Krasberg Rose Garden. Dogs must be on leash at all times and leave the Garden by 2 p.m. Viewing the dog parade is free. Anyone bringing a dog, whether entered in the parade or not, must pay the registration fee. Visit chicago botanic.org/dog. 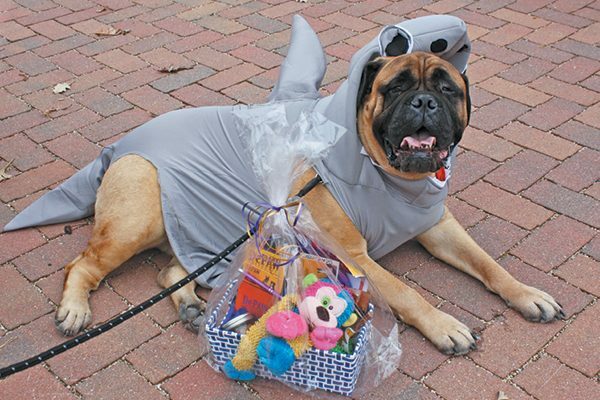 This Bullmastiff won Scariest prize at the 2017 Geneva Park District Howl o’ ween Dog Parade. For the eighth year in a row, canine competitors vie for top honors at the Howl o’ Ween Dog Parade. Prizes will be awarded for the most creative, funniest and scariest costumes. Will your favorite entry be boo-tiful or just creeping it real? Event details: Saturday, Oct. 27 at 1:30 p.m. at Peck Farm Park, 4038 Kaneville Road, Geneva, Illinois 60134. Line-up is at 1:15 p.m. in the courtyard. No registration fee. Visit genevaparks.org/contact-us. If this parade was a person, it’s one year away from being able to vote! This is the 17th year for the MainStrasse Village Paw-rade and will feature vendors, prizes for the best costumes and overall fun for both those with two legs and four. Previous categories have included best original costume and, for those less crafty, best store-bought costume. Event details: Sunday, Oct. 28 at Goebel Park in Mainstrasse Village. The event begins at 12:30 p.m., and the Pawrade starts at 2:30 p.m. There is a $5 registration fee for each dog. Visit mainstrasse.org/calendar –events.html. This dog and owner go together like, well, you know. They won the Most Ocean City Spirit award in 2017. This is the seventh year that dogs will be able to strut their stuff on Ocean City’s historic Boardwalk in festive style. (Cats, birds and other family pets are welcome, as well.) The event is free, and some lucky pups will win prizes. Monetary and pet supply donations will be collected to benefit the Worcester County Humane Society. Event details: Saturday, Oct. 20 at N. Division Street on the Boardwalk at 1 p.m. Registration begins at noon. Visit ococean.com/events/howl-o-ween-pet-parade. 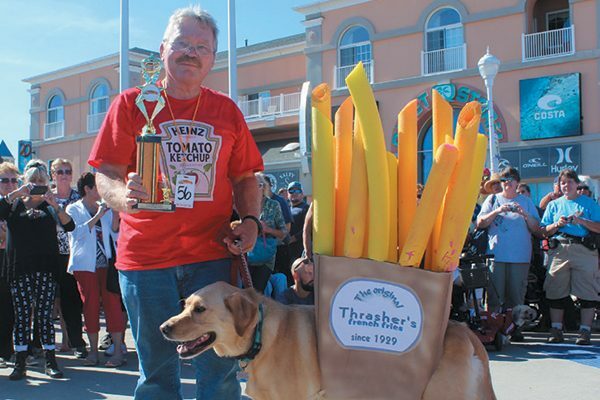 Treating a pup like royalty, this was one of the top finalists in the 2016 Sea Witch® Costumed Dog Parade. Feeling a little deja-boo? This is the 29th Annual Sea Witch Festival! It features multiple events including carnival rides and a 5K race, along with, of course, the ever-pupular dog parade. 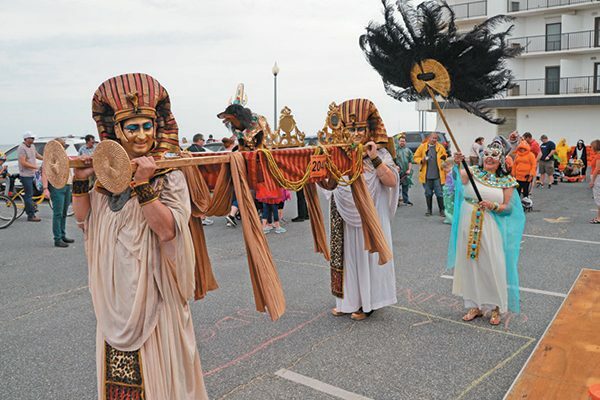 According to a member of the Rehoboth Beach-Dewey Beach Chamber of Commerce, “This is such a dog town, everyone dresses their dogs up.” If that’s a typical day, imagine the outfits today! Event details: Saturday, Oct. 27 from 1 to 4 p.m. (judging at 2:30 p.m.) at Harry Chapin Lakeside Theatre in Eisenhower Park, East Meadow, New York. Admission is free. Contact kgrillirobles@pdcn.org. 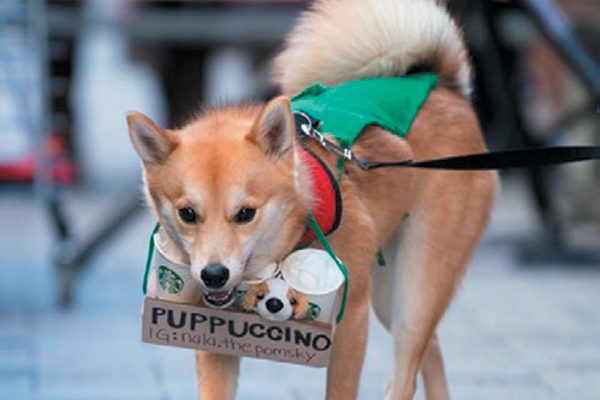 Nala the Pomsky won Cutest Costume as a “Puppuccino” at the 2017 Annual Doggone Halloween Costume Parade. This marks the fifth year dogs will be walking the streets of Boston in their frightfully festive finest. They will be judged for cate-gory-s that include best costume, scariest costume, best human-dog duo costume and the most creative costume. No empty paws here — every pooch goes home with a prize! Event details: Monday, Oct. 29 from noon to 2 p.m. on Summer Street between Washington Street and Hawley Street in Downtown Boston. Visit downtownboston.org. Elizabeth Anderson Lopez is an award-winning writer based in Lake Forest, California. She and her husband have quite the menagerie, including a rescued English Bull Terrier named Maybelene. Thumbnail: Last year’s Howl-O-Ween Pet Parade Honorable Mention winners Batman and Robin prove that dogs can look great in capes, too!